THE Block's top two performers have set themselves even further apart from the rest of the pack. Dean and Shay and Kingi and Caro produced the best rooms in the first week of work on the ground floor challenge apartment. The penthouse renovators will take $15,000 off their yet to be revealed reserve price thanks to the win. The judges praised them for making the small space of their guest room ensuite feel luxurious on a tight budget. "The taps are beautiful; the spout is beautiful; there's brass everywhere, even in this custom-made (vanity) top," Darren Palmer said. Townsville parents Kingi and Caro came a close second for their adjoining guest bedroom and earned $10,000. Shaynna Blaze called it serene while Palmer said the styling of the bed was stunning. "I'd be a very happy guest staying in that bedroom, using this bathroom," Neale Whitaker said. Things weren't so harmonious next door, where Luke and Ebony were renovating the other guest bedroom alongside Andrew and Whitney's ensuite. WA siblings Luke and Ebony earned the final $5000 cash prize for their third place finish. The judges liked their bed but felt the styling wasn't quite as sophisticated as Kingi and Caro's room. The same was true when comparing Andrew and Whitney's ensuite to Dean and Shay's bathroom. Their shower screen was not level and work needed to be done to fix up the caulking and painting. "There was consideration in the other bathroom, there was finesse that's lacking in here," Whitaker said. Gold Coast mums Suzi and Vonni finished last after struggling to finish the main bathroom, despite Kingi and Luke chipping in at the last minute. They were praised for the size of the shower and the luxurious tiles. "Does anyone else feel like they've stepped into the bizarre version of Suzi and Vonni's first bathroom?" Palmer said. In the upcoming final week of renovations the teams will compete for their choice of auction order. 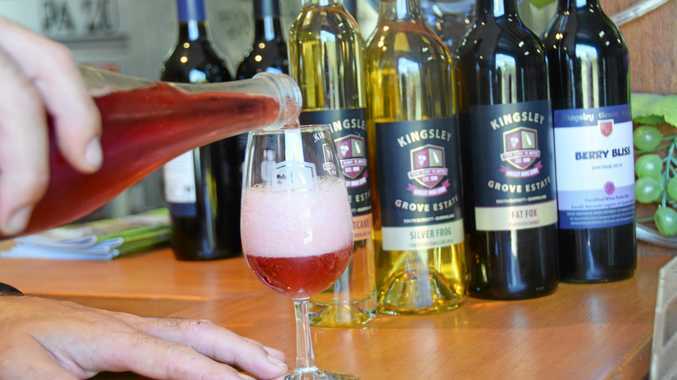 News Give Mum the gift of a relaxing day at Kingsley Grove. Health The politicians will need to commit to making healthcare accessible. News There are only three spots left. Crime Drinks with friends turned into a night of offending for this man.